Hello, I am Dominic Antonelli and I am an RA on the 2nd Floor of the greatest freshman hall that is Kiewit. Today I would like to talk to you about the one of the top ranked collage intramural program in the United States. It just so happens that the Creighton Intramural program is among the best in the country. 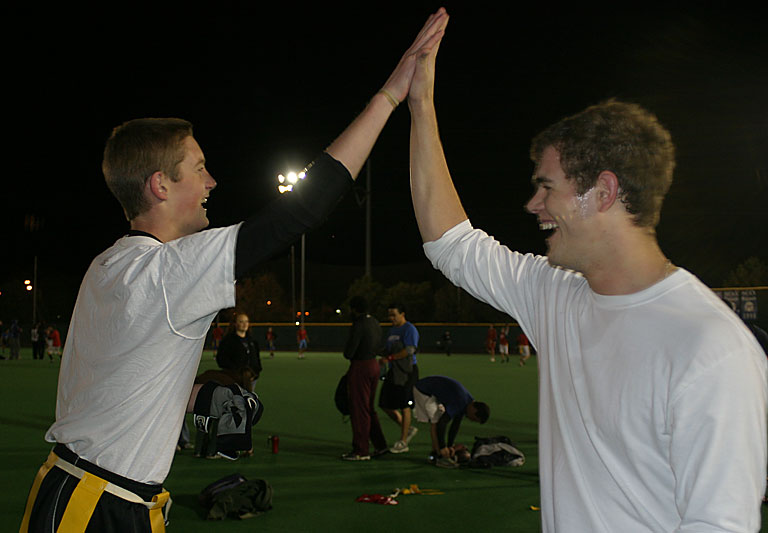 Offering a range of team as well as individual sports throughout the school year, Creighton’s intramurals offers multiple opportunities to stay in shape and have fun while doing it. Creighton intramurals also offers a great employment opportunity. As a freshman and sophomore, I was an intramural referee. Jason Gant will brag that it is the best job on campus, and until I became an RA I couldn’t disagree with him. As a referee you get paid to watch sports and call any and all fouls and violations you want. If you’re one of those people that yell at the TV when the refs miss obvious calls, this is the job for you. Even as a ref you get to run around and stay in shape. It is also one of the highest, entry level paying jobs on campus.